St. Louis loves a 5k, especially those with a theme. 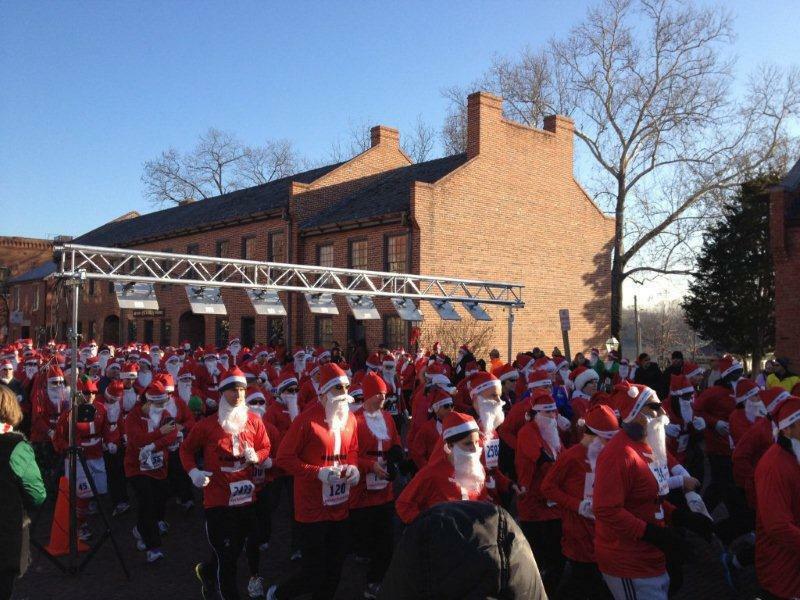 Holiday 5k runs in St. Louis are all about reindeer, Santa, jingle bells, and gingerbread! I guess December is a good time to shed those pounds added around Thanksgiving and start the New Year off right! All of the races below can be found on the Big River Running website as well. Santas on the Loose – This might be one of the best races to watch as the runners will be in full Santa gear as they run through the streets of Webster Groves. When you register, you receive a red Santa hat, a white beard, and a red shirt (limited supply). Santa will also be on hand if you want to snap a quick free photo. Registration closes on December 4th and there will be no race day registration so sign up soon. Gingerbread 5K Run – Calling all Bellevegas runners! This run steps off at St. Elizabeth Hospital in Belleville and is sure to draw the crowds to run through the streets. Ugly Sweater Run – I love ugly sweaters and running so this is right up my alley! Another fun run to just come and people-watch with all the spectacular ugly sweaters running by. There is a special prize for ugliest sweater. All proceeds go to the Living Well Foundation. This run is held at Tower Grove Park. Reindeer Run – Sponsored by the Mid-County Family YMCA. You get a long sleeve shirt with registration and awards will be given for best holiday costumes. Jingle Bell Run/Walk – Holiday costumes and antlers are encouraged for this race to end arthritis. Race starts at 8am at the Knights of Columbus Hall in Godfrey, Illinois. Santas North Pole Dash – Probably the most fun race day in December in my opinion. Registrants receive a shirt, hat, and beard. Run through the streets of Historic St. Charles and then plan to stay a while and visit all the local shops. Runners/walkers wearing their Santa or Elf shirt will get drink secials at participating pubs and restaurants and discounts from many other main street merchants. Phew, what a fun day! 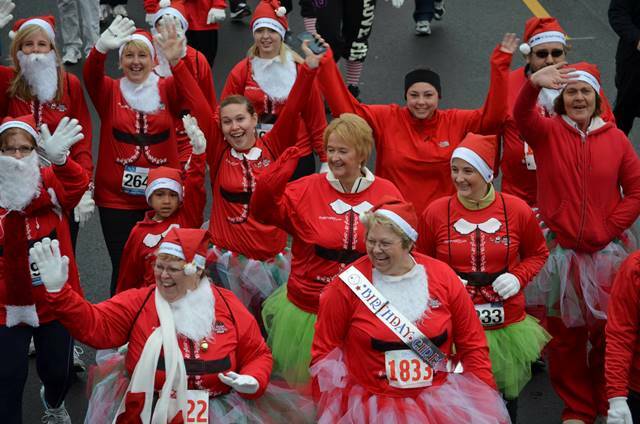 Use the hashtag #2013santadash to share all the fun with twitter followers and check them out on Facebook too. Hot Chocolate 15K & 5K – This race is a bit more expensive, but totally worth it for the swag! You get an amazing fleece pullover just for registering! This race will be held at Soldier’s Memorial but the real party is at packet pick-up where you can sample chocolate and hot cocoa. Go Santa Go 5K – Another great race with Santa shirts, hats, and beards! The race starts a little later in the day for our sleepy Santa’s – 10am in Creve Coeur.